You know how much I love my TNA, well I’m really excited as one of Britain’s most exciting new rock bands are set to go global after getting their biggest break yet – recording the theme tune for hit international wrestling television show TNA Xplosion. Dear Life by Chasing Cadence will now be heard around the world from Wednesday September 16 – including on British channel Challenge TV – as part of a powerful new opening for the fast-paced, high-flying, ground-breaking wrestling programme. TNA Xplosion is TNA’s first ever show designed specifically for a family audience, airing every Saturday morning on Challenge TV at 9am and midnight on Wednesdays. 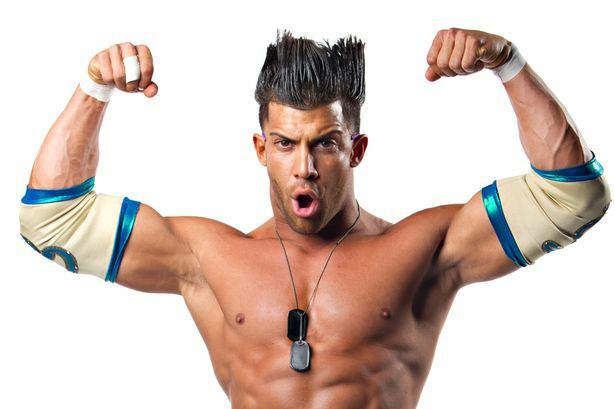 Each week Xplosion showcases a mix of new matches, classic bouts and backstage interviews featuring TNA Stars and Knockouts including World Heavyweight Champion EC3, Olympic Gold Medallist Kurt Angle, Jeff Hardy, Lashley, Bobby Roode, Gail Kim, Brooke and Taryn Terrell plus Britain’s own Drew Galloway, Rockstar Spud and Mandrews. Chasing Cadence are quickly becoming noted as one of the most exciting bands on the UK music scene. The alternative rock quintet from Hertfordshire, England, will also be special guests on the TNA MAXIMUM IMPACT 8 Tour, as part of the huge events coming to arenas in Manchester, London and Birmingham in January 2016. Tickets and VIP Experiences for the TNA MAXIMUM IMPACT 8 Tour are on sale now, from just £17.50 (£20 for London), plus venue fees, via www.gigsandtours.com and www.ticketmaster.co.uk or direct from the tour venues.